We got everyone together and went for a sail. 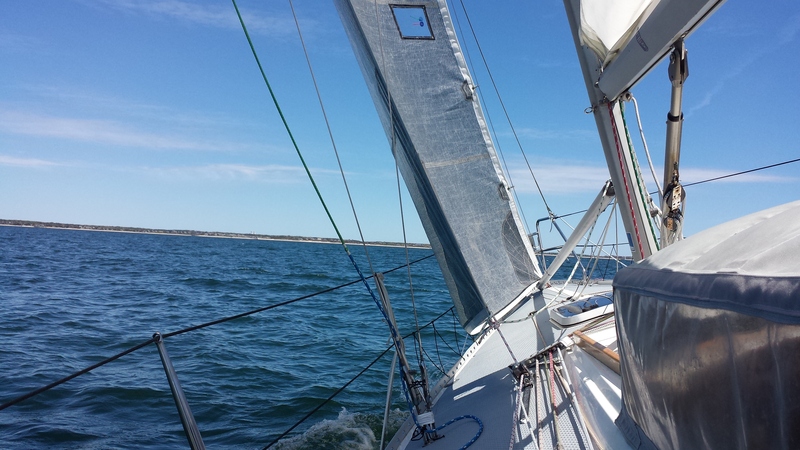 Beautiful day, 8-12 knots from the NE, flat seas and bright sunshine. 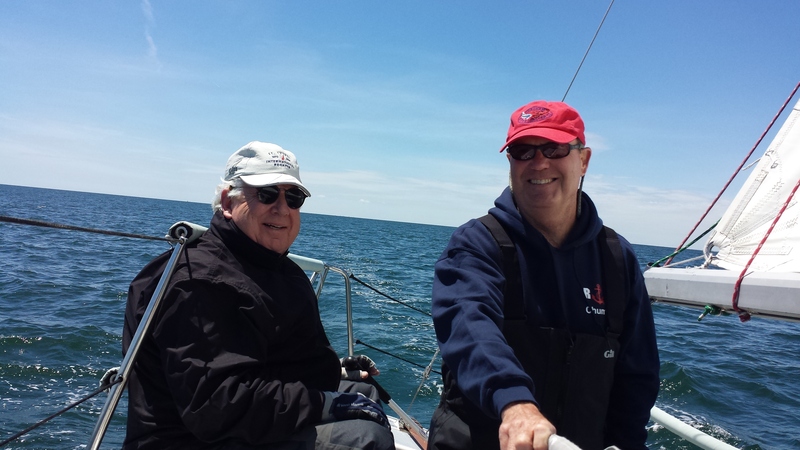 The PLAN A was to do a bit of sail training with our FIGAWI Race crew and enjoy the boat. Executed as planned. (wow, what a day.) 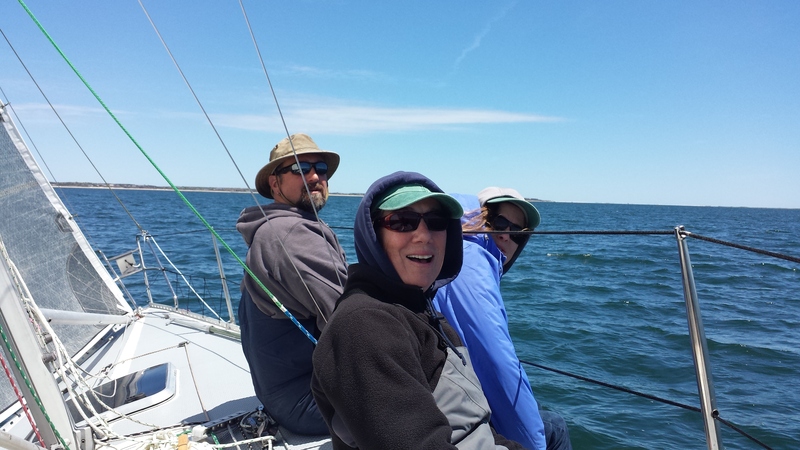 Zach, Tabitha, Elizabeth, Tom, and Norm sailed, checked the rig, set and trimmed the #3 in a variety of configurations, flaked same, set and trimmed the new Doug Pope kite, stowed same, set and trimmed the #4, flaked same after sailing into the mooring. Wow, what a day. 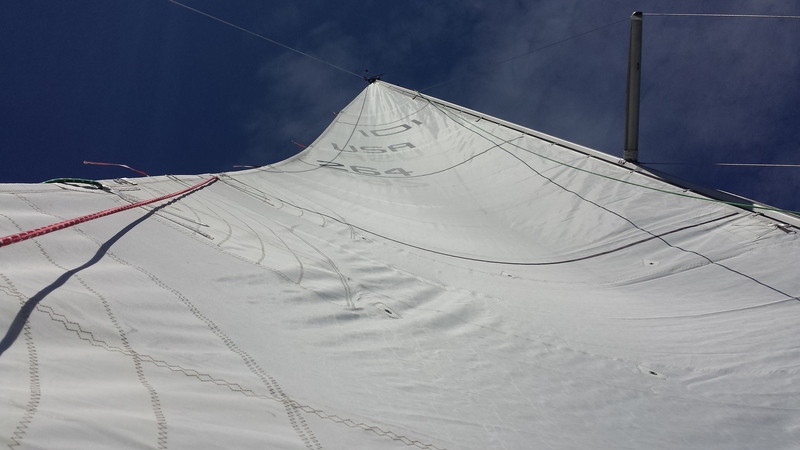 A few pictures from the sail. OK, that's ugly. Cunningham on, backstay on, outhaul on... yup looked better after all that! 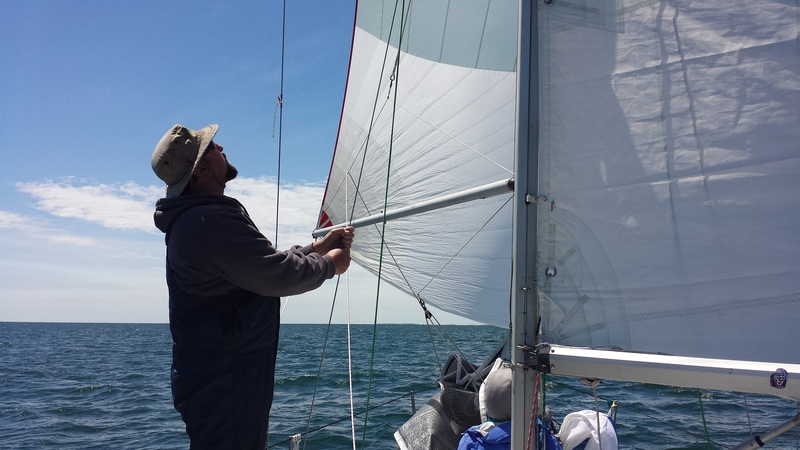 This page is an archive of recent entries in the Figawi Race category. Caribbean Images from 2008 is the previous category. Marina Del Rey is the next category.